Our company provides cheap, efficient and fast airport pick up services worldwide. We can help you get to and from an airport safely, no matter where you are going. Our company has been working in this field for more than 5 years now and we know what our clients really want and need. 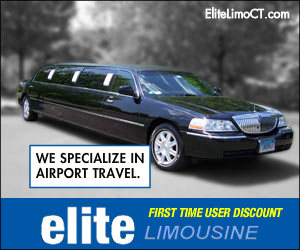 We can help you get a shared shuttle, a private executive vehicle, a luxurious limo or a van, whatever you prefer. We also work with tourists and groups of people, organizing transportation for them. We offer you free waiting time. If your flight is delayed or canceled, you don’t have to worry and then pay more. We understand that it’s not your mistake and offer you free waiting time. When you arrive, our driver will meet you and ensure everything is fine. This is crucial for business people and those who are in the city for work. We offer you unlimited free Wi-Fi and don’t charge you extra. We know that it’s important to stay updated and be able to work remotely, answer calls and e-mails, so we won’t rob you of this opportunity. We make your family trips comfortable. We offer free devices that ensure kids’ safety and free car chairs for your baby! If you’re planning to travel with a kid, give us a call and make sure our managers know this, so they can install it for you. We don’t charge you extra. We don’t any hidden fees. When you’re placing your order we will notify what you’re paying for and offer extra things that will require further payment. However, we don’t have a system of hidden fees for anything. We value your money and your trust. We are a legitimate company and our reputation precedes us. All of our drivers wear a uniform, so you can recognize them at the airport. They also wear special hats and badges. You don’t have to worry about those safety and insurance aspects, everything is covered. All of our vehicles are checked and insured, so you won’t end up paying anything in case of an accident. We include luggage assistance into our services. As we are a pick up service, we understand that our clients often need help with their luggage. It’s a polite gesture from us. Our drivers will always help you with your suitcases or bags, so you feel comfortable. We hope that you will use our services and will provide us some feedback. We work 24/7 and can pick you up any time of the day. If you want to book a special car, better do this in advance. We provide discounts for customers booking online!